Paul Jorgensen inbounds the ball. Jorgensen and the Bulldogs host No. 10 Marquette on Jan. 30. Jimmy Lafakis/Collegian file photo. Losers of two straight games, the Butler men’s basketball team welcomes the highest-ranked Big East team, the Marquette Golden Eagles, to Hinkle Fieldhouse. Here’s what you need to know as the Bulldogs try to avoid their fifth loss in seven games. If Jordan Tucker is going to start, there has to be a spark off the bench. Jordan Tucker started his first game in a Butler uniform against Creighton, taking his bench production with him. Butler’s rotation featured scoring in the starting lineup and off the bench without Tucker in the starting five. If Tucker is going to continue to start, someone on the Butler bench has to put the ball in the basket and provide a spark. Right now, it does not look like anyone is capable of filling that role. Paul Jorgensen is in the middle of a shooting slump, scoring in double figures only once since Dec. 29. Christian David, Henry Baddley and Nate Fowler, the other three Bulldog bench players getting real minutes, have not been asked to be major offensive contributors. Bringing Tucker off the bench doesn’t mean he can’t play starters’ minutes and be in the game at the end, but it does mean there is bench production from a pure scorer. If Butler is going to keep up with a Marquette team that scores an average of 79.7 points per game, it has to get scoring from everybody and win the bench production battle. Markus Howard is awesome, but Sam Hauser is the mismatch for Butler. Marquette guard Markus Howard is averaging 24.6 points per game, shooting 43 percent from deep and 91 percent from the charity stripe. However, Sam Hauser is the threat Butler might have the most trouble containing. Howard is an elite scorer, but he’s only 5-foot-11. Kamar Baldwin and Aaron Thompson are two of the best backcourt defenders in the Big East. Hauser stands at 6-foot-8, shoots 40 percent from the 3-point line, grabs seven rebounds and scores 15 points per game. Also, he’s averaging 23.8 points per game over Marquette’s last four contests, including a 31-point performance at Georgetown. He’s taller than Baddley and Sean McDermott and too dynamic for Joey Brunk. Don’t be surprised if Hauser is the guy Butler can’t stop. Butler needs to continue defending the 3-point line. Against Creighton, the second best 3-point shooting team in the country, Butler held the Bluejays to 30 percent from deep. They’ll need to be just as good against Marquette, who ranks 11th in the country in 3-point percentage. Howard, Hauser, and his brother Joey Hauser all shoot better than 40 percent from beyond the arc. 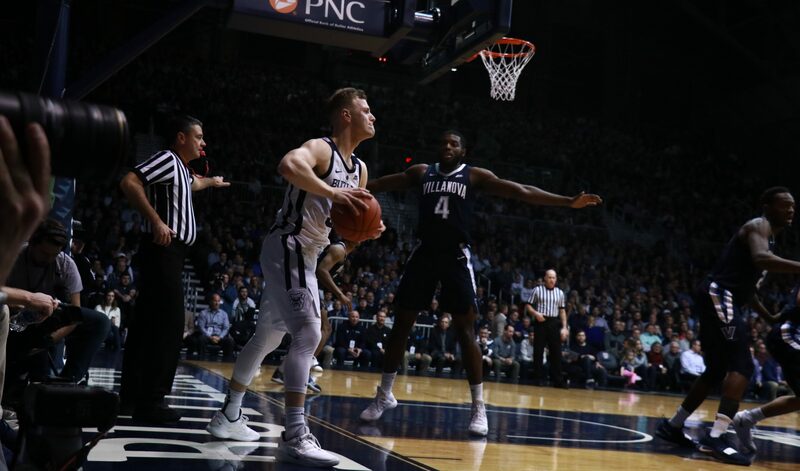 Two-point field goals killed Butler against the Bluejays, but its perimeter defense was good and bringing that same defense to this game will be crucial if the Bulldogs want to pull off the upset inside Hinkle.